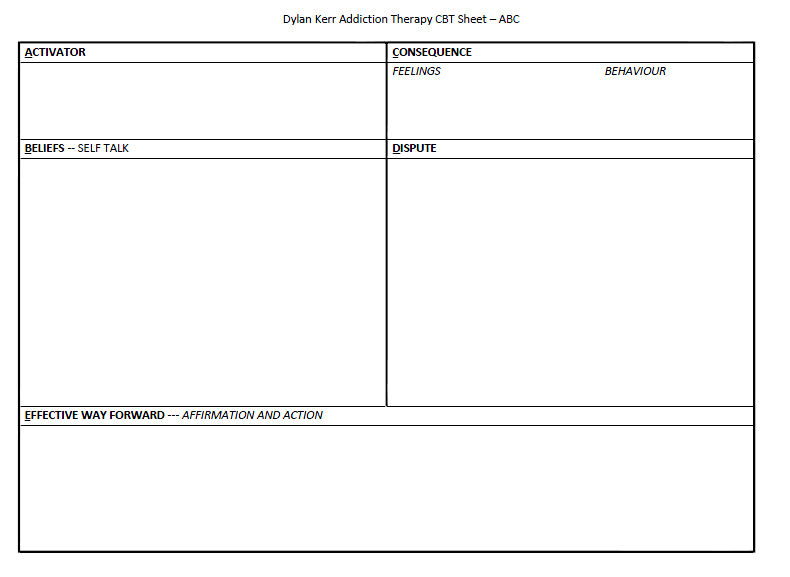 Here is a copy of a ABC sheet that I use regularly with my clients to help them deal with difficult thoughts and feelings. Feel free to use this worksheet on yourself or with someone else. I find the REBT form of CBT very helpful and I encourage people to consider working through the sheets in order to deal with unhelpful difficult feelings. Previous Co-Dependency – Do you have it?